Theresa May: Who is favourite to replace the UK prime minster? British bookmakers are buzzing with speculation over who will be the UK’s next prime minister. It should not really be the burning issue of the moment. For a start, Theresa May is not leaving just yet. Secondly, the more important and urgent question for both the UK and the EU is what will happen with Brexit. Nevertheless, on Wednesday, May announced she would step down as head of the UK government if her Brexit deal is passed by MPs. So who are the bookies’ favourites to succeed May? Michael Gove. Co-led the official Leave campaign but has been loyal to May in government as environment minister, and has backed the deal. Could bridge both sides of the Tory party, utterly split from top to bottom over Britain's future relations with the EU. Boris Johnson. Still the favourite among Tory party members, according to recent polling. He has trashed May's deal repeatedly – only to announce this week that he will back it. Critics say he's a shameless opportunist who puts his own political ambition above all else. Jeremy Corbyn. The opposition Labour leader could benefit if the current impasse leads to a general election. He has also had to navigate party divisions over Brexit. Critics say he's failed to capitalise on the Tories' turmoil, and confusion still surrounds Labour's stance. Jeremy Hunt. 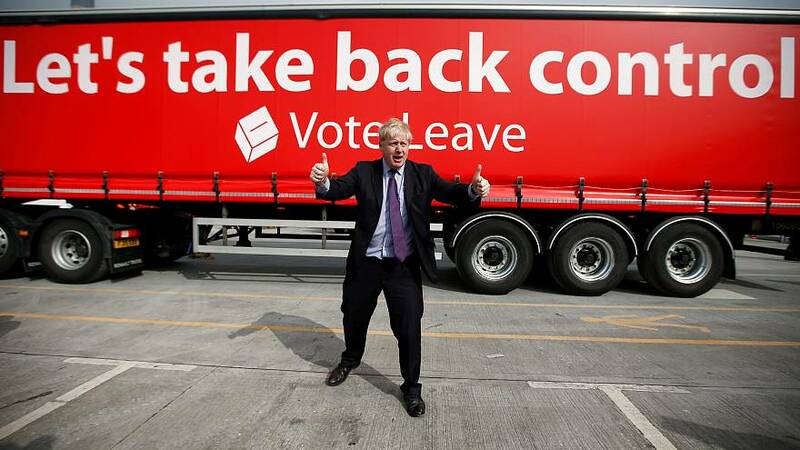 The foreign secretary backed Remain in the 2016 referendum but now backs Brexit. He recently said the test for its success would be in 10 years' time, suggesting that many remainers may find life outside the EU won't be as bad as feared. Dominic Raab. Brexit minister from July to November last year, he resigned in opposition to the draft withdrawal agreement he was supposed to have taken a leading role in negotiating. He is relaxed about a potential no-deal Brexit, and has just called for the withdrawal agreement to be renegotiated – something Brussels has repeatedly, endlessly ruled out. Further down the list are the likes of pro-EU Cabinet ministers such as Philip Hammond and Amber Rudd. A shrewd bet but still an outside choice might be on rising Conservative stars such as Tom Tugendhat or Johnny Mercer or Chuka Umunna who leads the new Independent Group (TIG) in parliament. The list is long: people can, if they wish, put their money on the likes of Nigel Farage, Tony Blair or David Cameron. Oddschecker has compiled comparative odds for May's potential successors. On Thursday, it was topped by Michael Gove, tailed by Boris Johnson. But another survey suggests Johnson might actually take on Gove: the man known as 'Boris' is "in pole position with minimal effort," the survey from Conservative Home found.